One of the most major sporting events of the year is drawing near....yes, the Super Bowl! MaMa and I thought we'd share a crunchy, healthy snack alternative for your game day party. 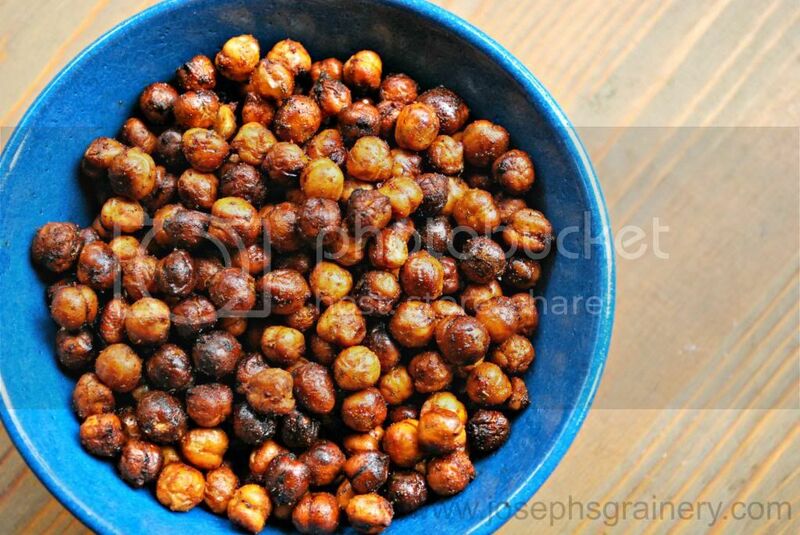 These little legumes roast up for a spicy crunch that's sure to treat the taste buds. 1 c Joseph's Grainery Garbanzo Beans, soaked for 24 hours. 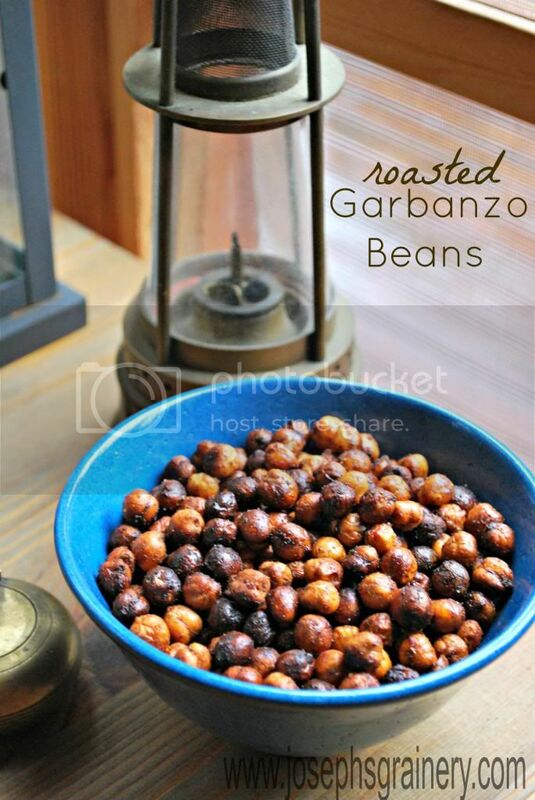 Dry off the garbanzo beans well before baking them. Extra moisture won’t produce a crispy product. On a large baking sheet, toss garbanzo beans with olive oil and spices. Roast beans for 45 minutes, stirring every 15 minutes until they are crisp.